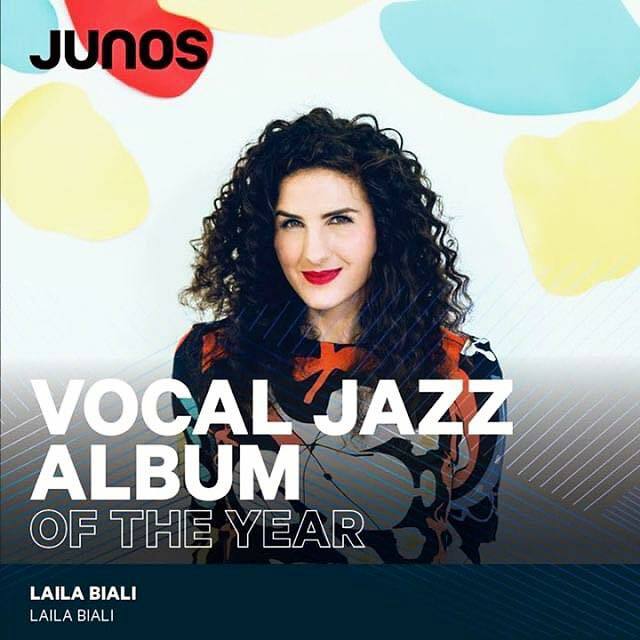 Laila Biali | JUNO Award Nominations + More Joni Mitchell! JUNO Award Nominations + More Joni Mitchell! Last week, while I was on a writing retreat at the Banff Centre, I got the exciting news that I’ve been nominated for not one, but two JUNO Awards this year!! … and they’re in the same category. Here’s how: my self-titled album, released just over a year ago, is among the nominees for “Vocal Jazz Album of the Year”, and I’m also included with Jodi Proznick’s nomination in the same category since I had the pleasure of singing on her album, Sun Songs. It’s an honour to be nominated alongside Diana Krall & Tony Bennett, Holly Cole and Diana Panton! Click here for the full list of this year’s nominees. Because there’s so much wonderful music to include, I have to work quickly, without compromising the heart of the arrangement. We opted to use a casual setting, our living room, to capture each video in a single take. This is our first time doing this, and there are flaws, but it feels intimate and real, which is what we’re going for. Several friends requested this song, and it holds special personal meaning as this was the song we played at my cousin-in-law Kitty’s memorial in the summer of 2015. She was a huge Joni Mitchell fan, and before she was gone, we’d talked about getting together to play and sing through our favourite Joni tunes. Watch “Both Sides Now” on Facebook, or watch it on YouTube.